The first step begins with a great foundation. A student's educational foundation begins in elementary school. Sacred Heart provides a strong, meaningful school structure that gets students excited about their education as they progress. 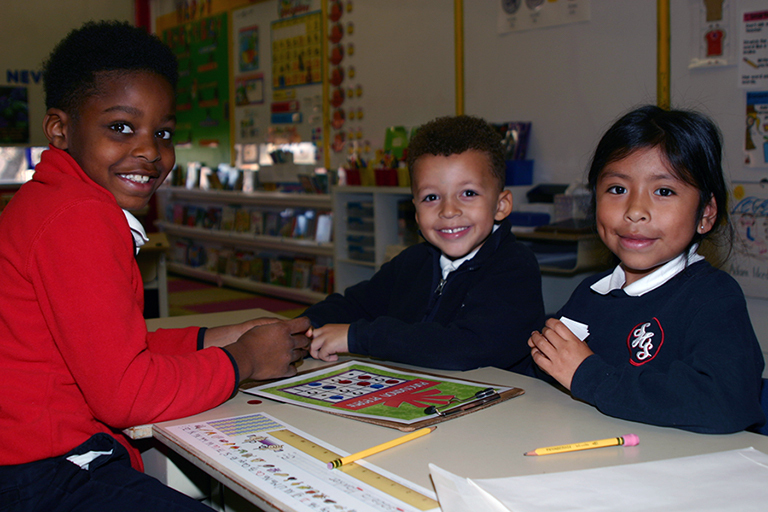 The elementary school at Sacred Heart Catholic School follows a competitive consensus curriculum established by the Catholic Diocese of Richmond. This curriculum meets and exceeds the requirements for the Standards of Learning (SOL) for the Commonwealth of Virginia. Sacred Heart Catholic School is a fully accredited educational institution with the Commonwealth of Virginia. All teachers are fully certified within the Commonwealth of Virginia. Sacred Heart Catholic School is fully accredited by AdvancED, an internationally recognized accrediting organization of educators and education professionals. Learn more about our Accreditation. Our Lunch Service provides students and teachers a nutritious lunch selection throughout the week. Parents and family are encouraged to participate in class and school events. Direct participation requires Virtus Training as part of the school safety plan. The Sacred Heart Catholic School Parent Handbook provides specific information about school function. 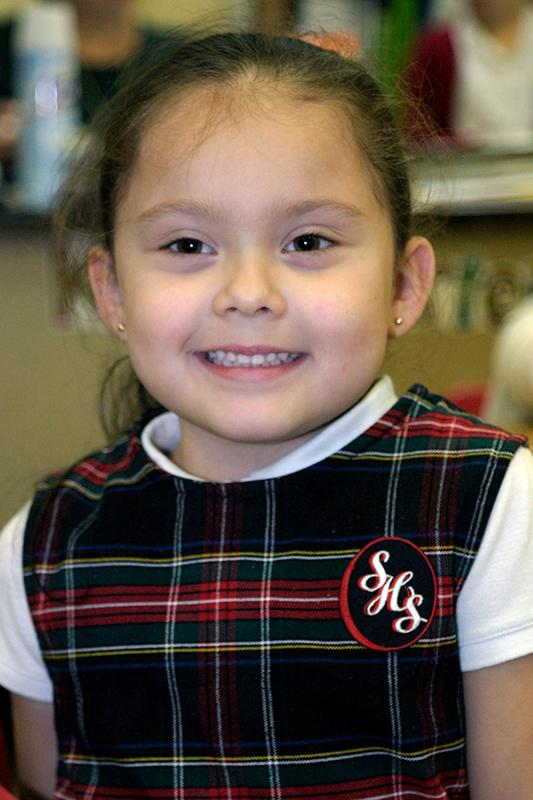 The elementary school program provides a strong foundation for ongoing academic achievement for the Sacred Heart student. A strong focus on phonics helps prepare students in these grades for ongoing success at higher grade levels. Students also interact in a collaborative teaching environment using problem-based educational approaches integrating the latest educational technology tools. Reading, writing, math, science social studies, and religion are the core components of our hands-on elementary school program. Critical thinking is introduced early. Sacred Heart class sizes are kept small to allow for greater contact time between the teacher and the student. Students have opportunities to work in the computer labs at scheduled times to work on creative writing or class projects. Students also have access to the school library, which provides the resources for class projects and books for recreational reading. The Accelerated Reader program is utilized to encourage and promote successful reading. Students at this level take the classes listed below. In order to pass to the next grade, each student must pass every subject at his/her level of competency. If a student does not pass a subject, an approved individualized remedial program will be mandatory, after which a decision regarding promotion will be made by the administration. Available classes include religion; Social Studies; science; reading; English; spelling; math; penmanship; Physical Education; and enrichment classes. Sacred Heart K-5 teachers focus on phonics, spelling, fluency, analytical and interpretive skills in literature, reasoning, and communication. Sacred Heart elementary school teachers target each student’s developmental level and work with level appropriate materials to improve each student’s understanding of written language. They use programs to expose students to a variety of written materials. Students receive both small group and whole group instruction to create a strong reading foundation. This approach allows teachers to meet each student’s individual needs while challenging them to achieve their best. The Sacred Heart math curriculum focuses on a student’s logic and reasoning skill development. Students work extensively on math concepts to provide a stronger foundation for higher grades and the need for logic. Math instruction builds upon a student’s previous math concepts with a strong emphasis on problem-solving. 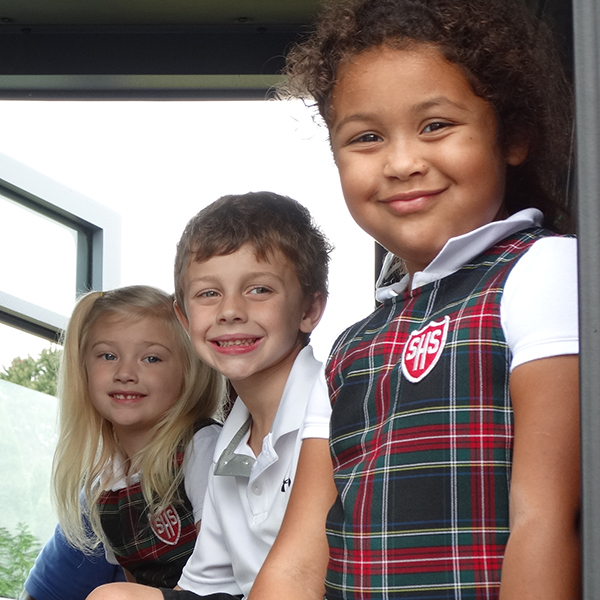 All Sacred Heart elementary grades work through the three basic components of the sciences. These include Life science, Earth science, and Physical science. Our science curriculum uses a problem-based discovery approach. Science, Technology, Engineering, and Math (STEM) projects are also incorporated into the science curriculum. STEM learning is collaborative and project-based, Students work closely together in a hands-on way to solve real-world problems or problems society might face in the future. Sacred Heart students learn good citizenship, history and the different cultures with our social studies curriculum. In K-1, students focus on communities and cultures around the world, including American subcultures. There is a strong focus on how to be a good citizen. In 2-3 grades, students expand their foundational knowledge of culture and citizenship with the addition of geography. Fourth grades students focus on Virginia history. Fifth grades students are introduced to in-depth topics in U.S. History. All students are required to participate in physical education classes unless a written excuse has been signed by the parent. Students are tested each year for the President’s Physical Fitness Test. Appropriate attire is necessary for gym classes and must follow the school’s dress code. Students who are unable to participate in physical education activities will be given written assignments. Students complete individual and group projects to build different skill sets. Sacred Heart believes recess provides an opportunity for elementary school students to exercise, interact socially with friends and clear their heads. Recess is an extended break that prepares the student for more study in the completion of their academic day. Recess normally occurs around midday with the student’s teachers. When possible, Sacred Heart arranges for field trips and excursions which enhance the curriculum. These are usually taken during school hours and provide more context than the classroom alone. The outings are planned educational activities designed for students in their particular grade level. These are exciting events that help keep education exciting and fun for all students. Permission slips from parents are required for each field trip. (Field trips are class specific, so siblings may not attend a trip unless they are a member of the class.) Parent drivers must have a current insurance form on file in the office and must have completed the VIRTUS Training. Please contact the office if you wish to be a parent driver. Homework is an important part of student development and is assigned on a regular basis. The assigned work may be written, studied, or researched and is to reinforce the skills developed during the day. Teachers will coordinate the completion dates of long-term projects.